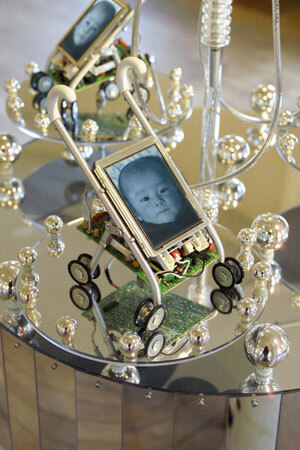 The kinetic sculpture contains 3 small LCD monitors mounted on small baby strollers and sound. 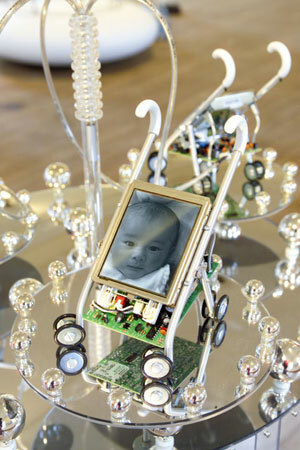 The monitors show a baby’s face. 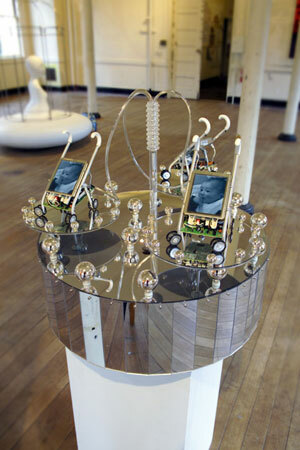 The sound part is the song, “We are the world” sung by a computer manipulated baby (or might be heard as a child's ) voice, which is actually a digitally manipulated adult voice. My intention was to show how stupid it was for us to believe “we are the world” reflecting the U.S. political diplomacy. Those 3 babies in this work are identical. 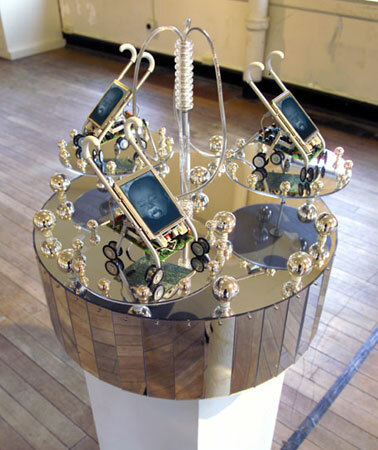 Like those babies, one dominant idea proliferates. Such ideas are originally produced by social, political, and, often, personal mechanism, which are concealed by shining mirrors.